This show was a feast for the eyes. 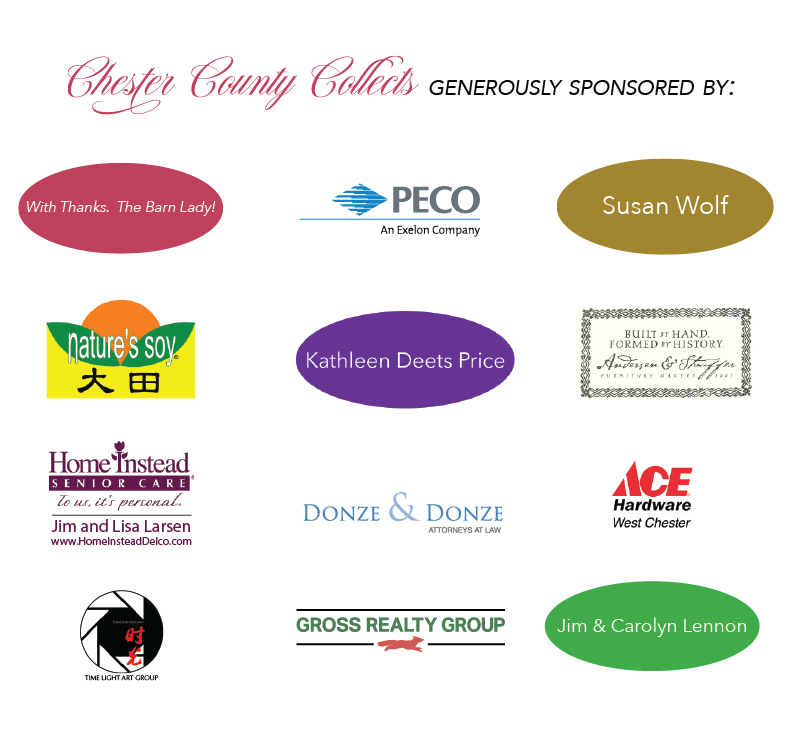 Curated by our board of directors, this show featured the many elegant and sophisticated collections of local Chester County residents. Thank you to supporters for making the show a success. Celebrate the arts in Chester County with an historical and hallmark exhibition to commemorate our 85th Anniversary. Chester County Collects presents an extraordinary glimpse into the many private and personal collections of Chester County residents. Opening on October 7, 2016, over 50 unique works of art will be on display through October 23, 2016, in the CCAA’s Allinson and Huston Galleries. Sculpture, paintings, objects, and furniture spanning 400 years will be featured including pieces by Thomas Hart Benton, George Cope, Wharton Esherick, Frank Gehry, George Nakashima, Horace Pippin and George Whitney. Skip Chalfant and Diana Girardi Karnas & Abe Hughes II: Learn what inspires them and how they got started. Skip talks about his passion for furniture that was nurtured in his childhood home, and Diana & Abe share their interest in paintings that speak to social injustices. Your Ticket is valid for the lecture and admittance to the exhibition that day (Tues. exhibition hours: 10-8PM). A Collector of Tom Bostelle & George Nakashima. Hear Christa talk about how she and her late husband started their collections and how the resulting friendships underscore her great respect and admiration for two special artists.